World leaders are being urged to get police, armed forces and the health sector working together to reduce the costs of disengagement. 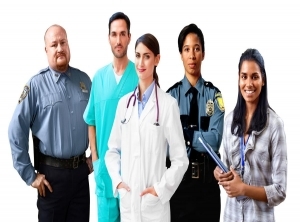 Police and security services should strive to work in conjunction with health authorities, rather than being seen as intruders, Australian researchers say. An article published in The Lancet on Friday warns global decision-makers risk lives and financial cost if segregation of the sectors continues. Co-author University of Melbourne's Nicholas Thomson says through a combined effort millions of people's lives could be saved. "In too many places, security forces and the health sector are on a collision course, with fatal consequences for the populations caught in the middle," Dr Thomson said. "Yet there are success stories, too - we're just not joining the dots." The work references the success of Sydney's supervised drug injecting centre to save lives since opening in 2001, while pill testing had become mainstream in Amsterdam and Barcelona after governments backed the move. It also turns to the success of military resources to work alongside United Nations' peacekeeping forces to, for example, protect health workers at treatment sites from attack by rebels. "Security forces come with vast resources, power, expertise and the ability to act quickly. All this should be employed to improve health, not undermine it," Dr Thomson said. "We need the security and health sectors to talk to each other, train together and work together in a systematic way." The series also discusses the responsibility of security forces to safeguard the health of entire populations as diseases such as polio and cholera return to conflict zones. It has been undertaken also by research experts in the US and other world-leading public health research institutions and police strategy think tanks.